Former Oversight Committee Chairman Jason Chaffetz is raising the issue of perjury after learning former FBI Director James Comey made the decision not to refer former Secretary of State Hillary Clinton for prosecution months before the Bureau was done with its criminal investigation into her mishandling of top secret, classified information. "There are evidently up to 17 people who had not yet been interviewed and this is a very strong allegation. The former FBI Director have a lot of explaining to do. He could have perjured himself, " Chaffetz said Friday morning on Fox and Friends. "Remember, he appeared before the House Oversight Committee, the Senate Judiciary Committee [and was asked] 'how is it that you interviewed Secretary Clinton a Saturday and then like Tuesday morning they suddenly had the report out." "How is that he'd already readied the conclusion when they hadn't even done the interviews?" he continued. Yesterday Chaffetz also responded to the FBI's denial of a Freedom of Information Request for Clinton's emails because there was a "lack of public interest" for their release. "This is absolutely disgusting, it's totally counter to who we are as a nation. We are open, we are transparent, we're supposed to be self-critical. The American people pay for this government. Hillary Clinton was the Secretary of State, what she created were federal records and every individual in this country has the right to see those," Chaffetz said. "They're protecting themselves, they're protecting Hillay Clinton and they don't want the exposure. What is it that they're hiding?" 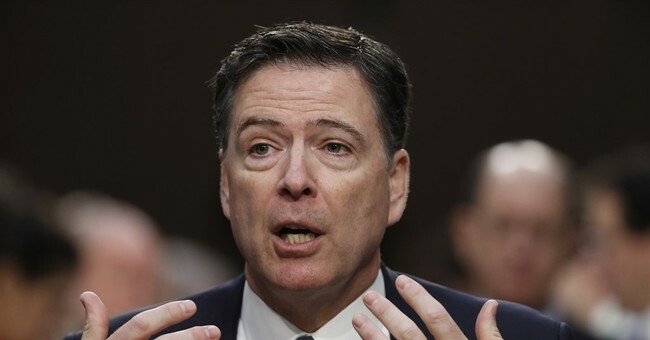 Meanwhile, Senate Judiciary Committee Chairman Chuck Grassley and Committee member Linsdey Graham are demanding newly minted FBI Director Christopher Wray to turn over documents surrounding Comey's decision not to refer Clinton for prosecution.